First, prepare 2 cups of cooked white rice according to package instructions. Then cut the tuna into cubes, set aside and prepare dressing. Next, Whisk together rice vinegar, ponzu sauce, sesame oil and sesame seeds in a mixing bowl. Then add the cubed tuna, avocado, scallions, and gently mix together. 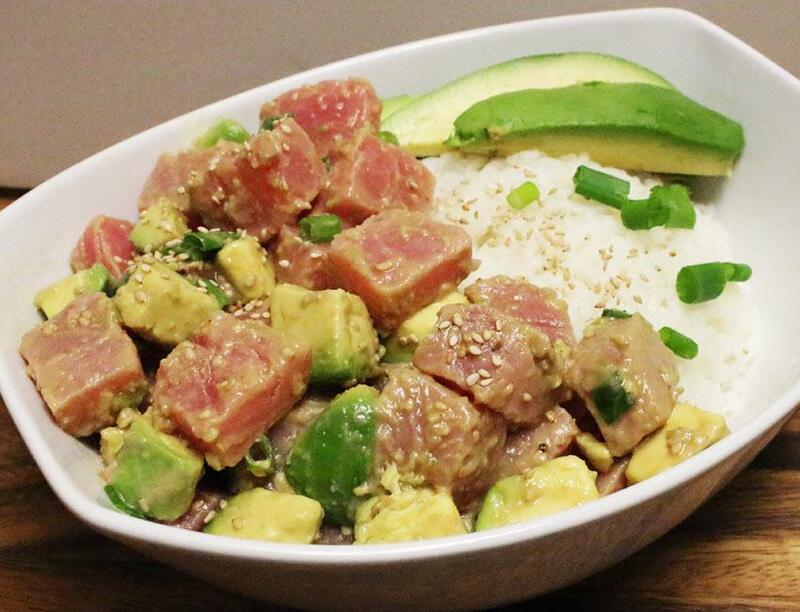 To serve, scoop the rice into bowls, add the tuna poke and top with sliced avocado. Enjoy! Feel free to customize your bowl with other ingredients such as: red pepper flakes, tempura flakes, edamame or shredded carrots!